You are welcome to Crete, the birth place of Xenios Zeus. The god of hospitality. Welcome to Lasithi, the magical tapestry of splendid beaches, ancient treasures and landscapes. Welcome to Ierapetra, the most southern town in Europe, a friendly place enjoying an average of 300 days of sunshine all year long. 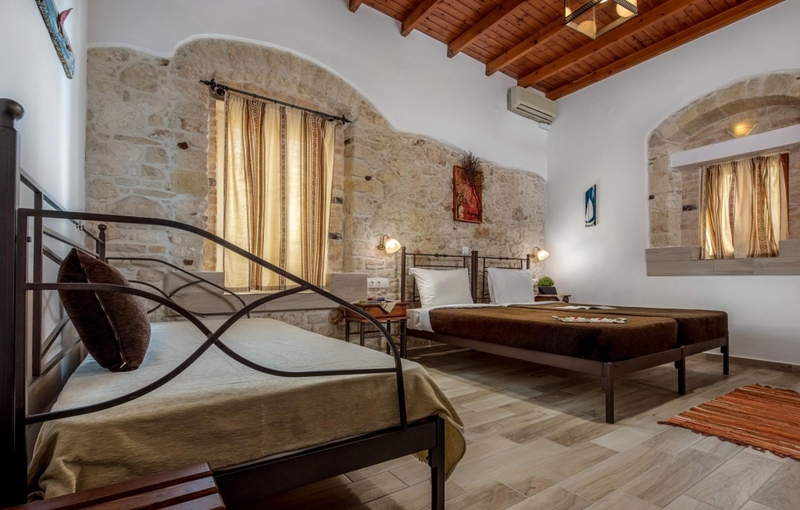 Cretan Villa Hotel in Ierapetra is a charming small, family hotel, built in 18th century which still travels through the passing of the years. The house was first restored in 1970´s to a traditional settlement and since then it became the first hotel of the town. It hides a cool green patio surrounded by traditionally furnished high ceilinged rooms and a friendly atmosphere. It is located 1 minute walking approximately from both beaches of Ierapetra, in a quiet pedestrian street, away from biggest noisy streets. In this lovely pedestrian street, as well as in the surrounding area, visitors will find numerous stores, café, traditional taverns and restaurants. Our desk office provides any information and tips you need and also, free internet access, rental cars services with special offers for our guests and organize private cruise to fabulous national park of Chrissi island. We are looking forward to extend a warm Cretan Welcome to you! 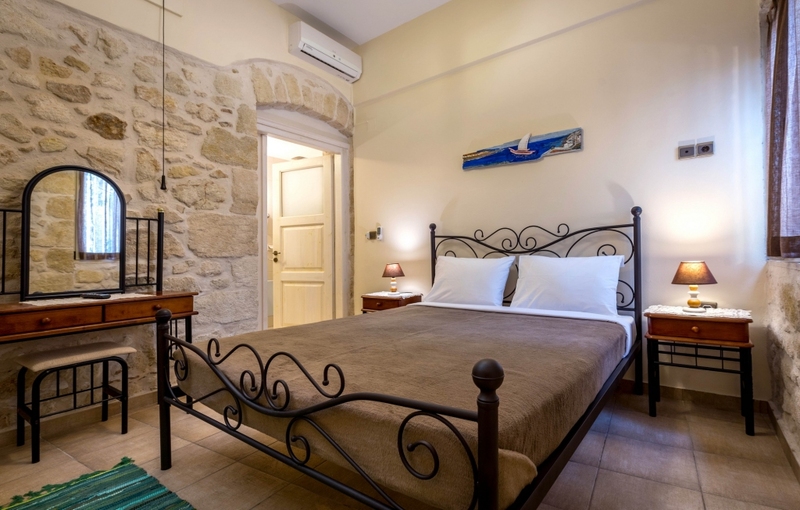 Holiday makers will enjoy the romantic and cozy atmosphere of these great value for money double or twin rooms in Ierapetra.